Well, we are not telling you to be nasty. But washing your hair religiously every single day can turn out to be the killer for your blowout. The ‘thrice a week’ routine is a decent one to follow for this purpose. Or, you can simply wait for your scalp to signal you to wash and clean the dirt and dandruff accumulated onto it. Cleansing and conditioning are two most important steps that set up our tresses for a proper blowout. The way you cleanse your hair and condition it can predict how the process of drying will go and how long the blowout will stay. Be as gentle as possible during cleansing so that the locks do not end up getting frizzy instead of turning silky smooth. Also, use right amount of conditioner and prevent your hair from weighing down. As we all know, heat styling takes a toll on our locks and ruin its health to a great extent. If you do not take enough protective measure while doing it, your blowout will not go a considerable distance. So, spritz a protective hairspray to your hair in between the process of blow drying as well as flat-ironing and buffer your locks from the damaging heat. It will not only preserve your blowout, but will also give it a salon-like shine. Try to give your hair a significant volume by adding lots of curls. It has been seen that a head full of curls needs less frequent blowouts. But the question is, how to give your curls proper hold and make them look voluminous so that they last comparatively longer than others? Just turn your head upside down and apply hairspray while curling up your locks. Simple! Most of us wake up in the morning with destroyed blowouts and a broken heart. Let us put a stop to this practice by taking great care of our curls, while going to bed. Get a small thin elastic band and turn your hair into a loose ponytail with that. Try to fold the band only once in order to keep your hair in its place. You can also wrap your curls with a silk bandana or scarf and prevent them from getting ruined during the sleep. 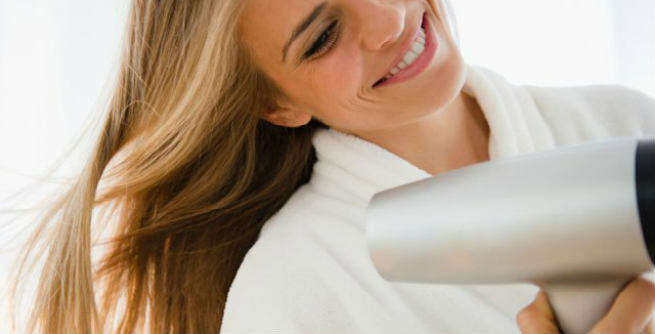 Start blow drying your hair as soon as you get out of the shower so that it doesn’t get any chance to dry on its own. Do not stop your task half way. Rather, blow-dry your hair completely as the last 3 minutes of the process offer maximum dryness as well as ultimate resistance to frizz. Take your hair in small thin sections and work on them one by one. It will help you get better blowouts with longer life.